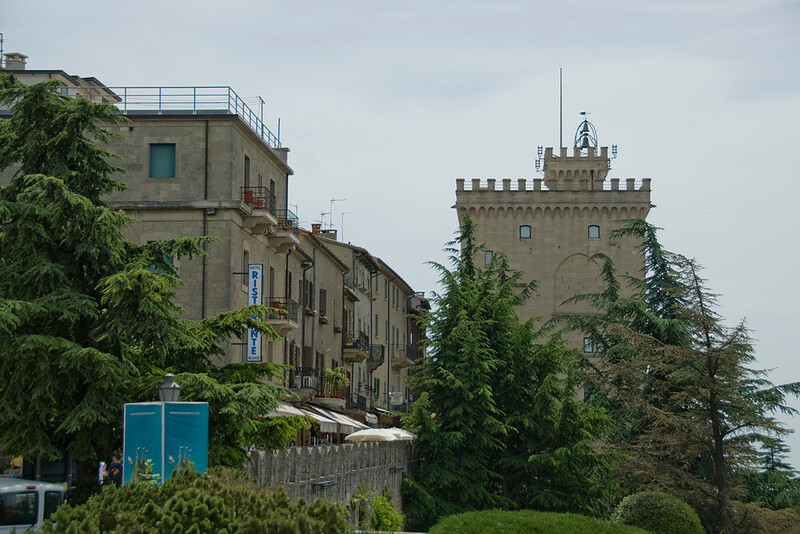 San Marino Historic Center and Mount Titano covers 55 ha, including Mount Titano and the historic center of the city which dates back to the foundation of the republic as a city-state in the 13th century. 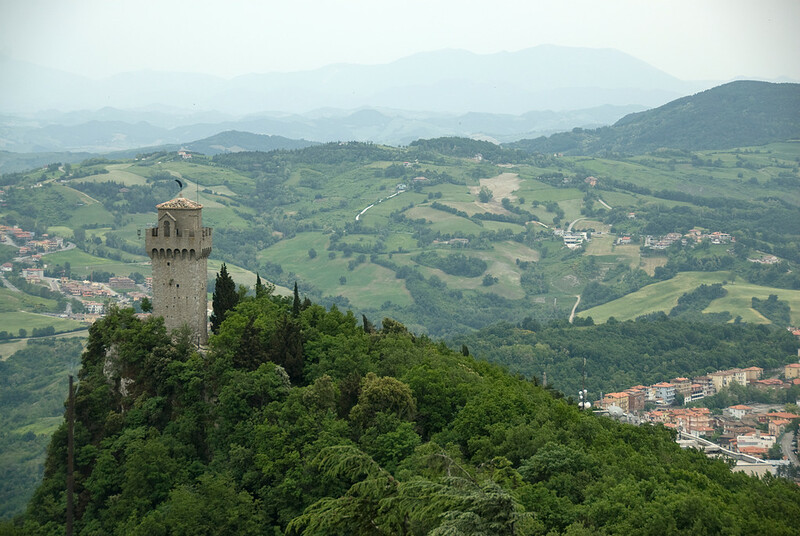 San Marino is inscribed as a testimony to the continuity of a free republic since the Middle Ages. The inscribed city center includes fortification towers, walls, gates and bastions, as well as a neo-classical basilica of the 19th century, 14th and 16th-century convents, and the Palazzo Publico of the 19th century, as well as the 18th-century Titano Theater. The property represents a historical center still inhabited and preserving all its institutional functions. Thanks to its position on top of Mount Titano, it was not affected by the urban transformations that have occurred from the advent of the industrial era to today. 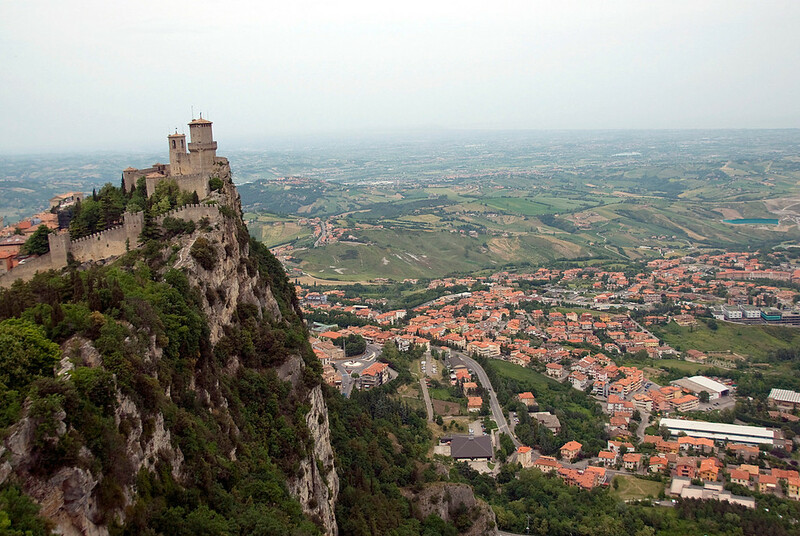 San Marino is one of the smallest countries on Earth. It is a legacy of the time when the Italian peninsula was made up of city-states. It is the world’s oldest republic and also was the home of the only elected communist government in the world at one point. The entire economy of the country seems to come from tourism now. Every business on Mount Titano (which is most of the country) seems to be orientated towards tourism. The coat of arms of San Marino has three towers on it which represent the three towers which dominate Mount Titano. The San Marino historic center and Mount Titano is a 55-hectare area that is an important historical site for the city-state of San Marino. The republic has been around since the 13th century and so has these historical features, which has been an integral part of its identity. San Marino is therefore considered as the perfect example of how a free republic has survived and thrived long after the Middle Ages. San Marino is not an EU member. However, it shares an open border with Italy so you can easily get to San Marino from there. You need to secure a government permit, though, if you want to visit San Marino for more than 10 days. There are no airports in San Marino; hence, you must travel via Italy to get to San Marino. The nearest airport to San Marino is at Rimini. Once in Italy, you can travel by car or bus. You should have no problem driving your own car from Italy to San Marino due to existing agreements between the two countries. Meanwhile, there are daily buses traveling to San Marino at a regular interval. You can look for the bus outside the Rimini train station. Unfortunately, there are no train stations in San Marino. Hence, train travel is not plausible. The San Marino Historic Centre is one part of the UNESCO site (the only one) in the Republic of San Marino. The city center features various structures and buildings such as fortification towers, bastions, gates, defensive walls, convents, and public plazas. These structures date back to the 14th century, or even older. The property is a collection of important reminders of the history of San Marino and how it has remained intact after numerous centuries. In fact, the city center looks a lot like it did in the Middle Ages as it does now. The position on top of Mount Titano is crucial to the preservation of the structures and the overall appearance of the city center. It has been protected from urban transformation due to the seclusion of its geographical setting. In fact, it has successfully evaded the industrial era and retains a high quality of life. Mount Titano or Mount Titan is the highest peak in San Marino and belongs to the Apennines mountain range. The mountain measures at 739 meters above sea level. It is part of the UNESCO property citing San Marino Historic Center and Mount Titano as one unit of cultural value in 2008. Mount Titano is an integral part of San Marino. In fact, a legend claims that a small monastery was once built on the top of the mountain during the 8th century. While this legend is not validated, it is an undeniable fact that the mountainous landscape provides a natural backdrop to San Marino. The mountainous landscape also provided a sense of seclusion that has enabled San Marino to survive for many centuries as an independent republic. 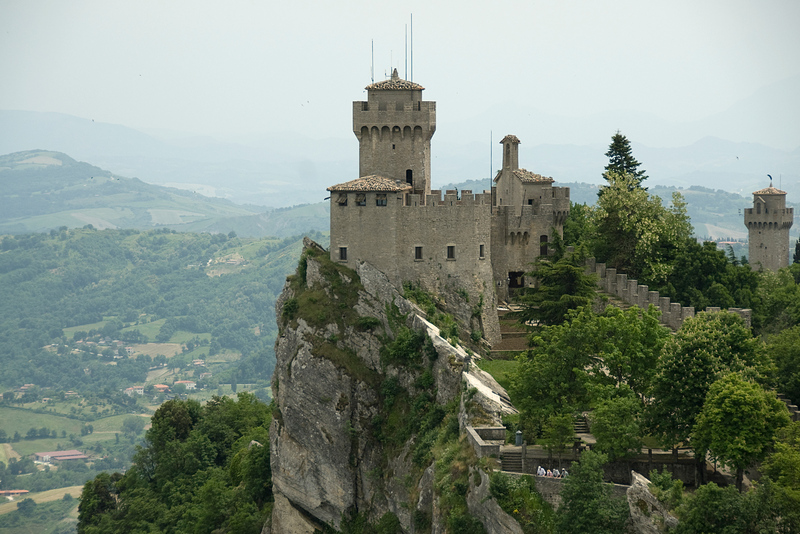 View the complete list of UNESCO World Heritage Sites in San Marino.